This toilet was conceived to provide people with the option of having a beautiful composting toilet system that is truly down to the basics, and is very effective as an onsite solution. 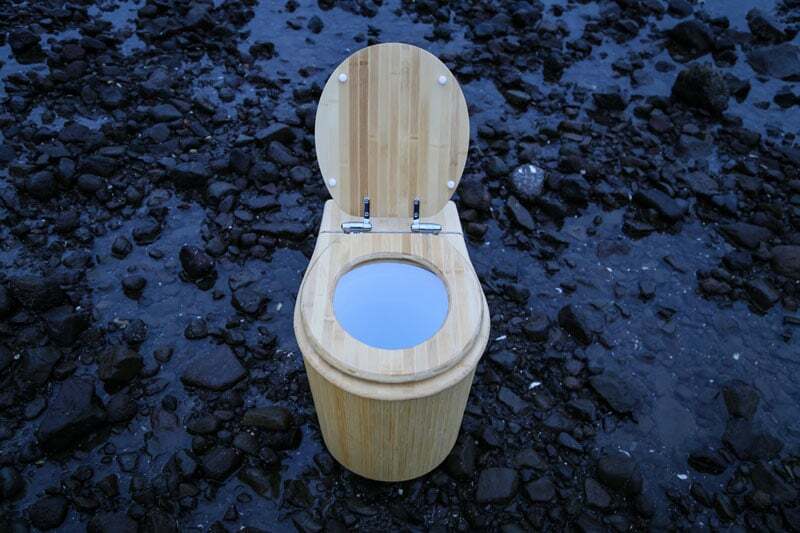 The Boobooloo has the look and feel of a toilet that is at home in any situation. The natural oil finish is only available on the natural version of the Bambooloo and offers a more natural bamboo look with water-resistant properties for the modern bathroom environments or domestic use. This package includes everything that you need to get started with your Bambooloo, including a 20 litre bucket with screw-on lid, composting toilet bags, and a block of coco peat cover material. A full instruction manual is also included. The protectant coating is only available on the carbon version of the Bambooloo and offers a hard wearing highly water-resistant coating for the more rustic environments or commercial use.